I love sweetening my coffee and tea, but I know that too much sugar just isn’t good for me. 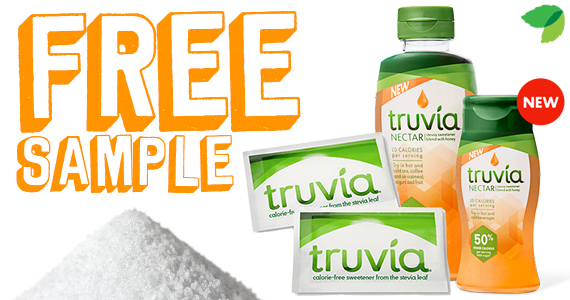 Get your free sample of Truvia Natural Sweetener and say goodbye to sugar! Not only is Truvia calorie-free, but it’s also great tasting and comes from the leaves of the stevia plant and you can even sprinkle it on your fruit or cereal for a little bit of extra sweetness in your breakfast! You can choose what you’d like to receive: the classic powdered sweetener or a $2.00 eCoupon. How To Get This Sample: Click on the link below or the image above. That link will take you to the Truvia page where you can fill out your information. Tell them a little about your sweetener experience, hit submit and your sample will be on its way.